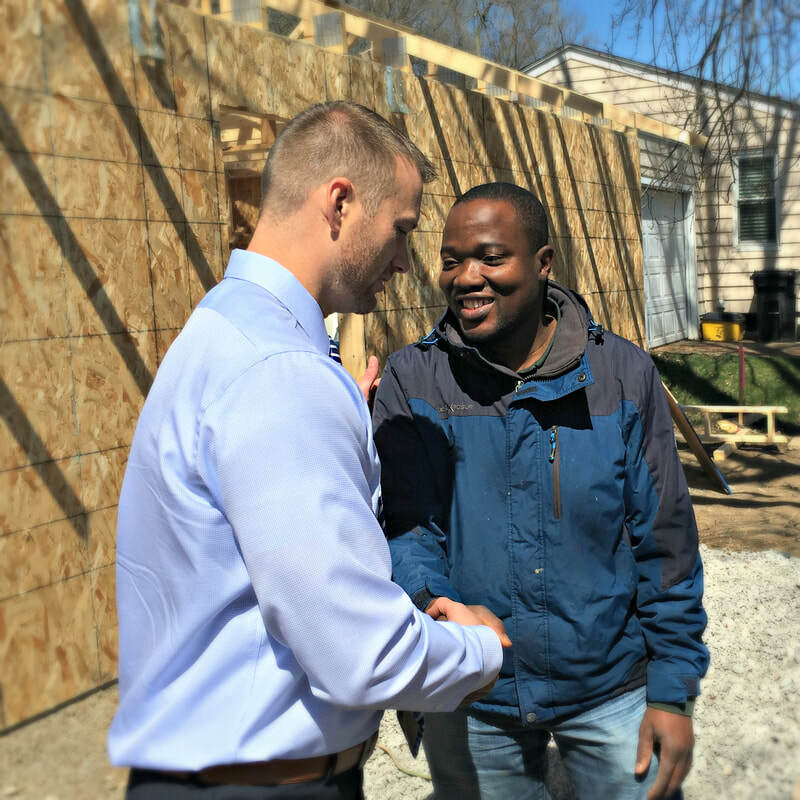 Iowa Valley Habitat for Humanity is a 501(c)(3) non-profit organization that works to provide affordable housing solutions in Cedar, Iowa, Johnson, and Washington Counties. Founded by a small group of committed volunteers in 1992, we exist to serve low-income residents of Cedar, Iowa, Johnson, and Washington Counties. After two years of work, we were proud to build our first home in 1994. To date, we have supported more than 150 families working to improve their living situations. We currently have a staff of 13 dedicated people who work diligently to improve access to affordable housing. We were excited to celebrate our 25th anniversary in 2017. ​Millard Fuller, a millionaire lawyer at the age of 29, had a prosperous law career, but his health, integrity, and marriage suffered. These crises prompted Fuller to re-evaluate his values and direction. His soul searching led to reconciliation with his wife and a renewal of his Christian commitment. The Fullers discovered their new focus in 1976 when they founded a Christian, ecumenical housing ministry called Habitat for Humanity. Today Habitat for Humanity operates around the globe and has helped build, renovate, and repair more than one million decent, affordable houses sheltering more than three million people worldwide. More than five million people are now living in Habitat homes. Learn more about our work to remove barriers to affordable homeownership as we invest in building vibrant communities. Learn more about our work to improve accessibility and safety by making affordable home repairs. Learn more about our treasure chest of used home goods and our FREE donation pick-up service. Learn more about our work to improve housing abroad.